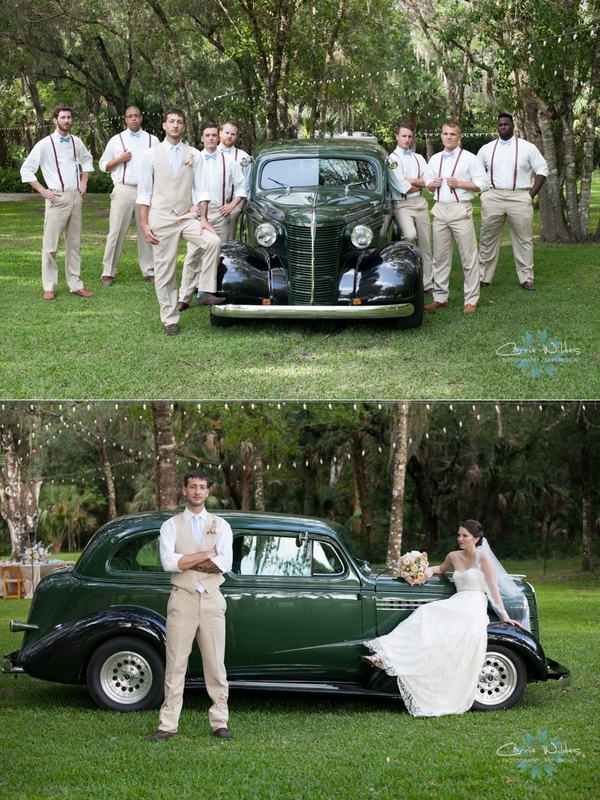 Kamila & Chris's Lovely Wedding Featured On I Love Farm Weddings! 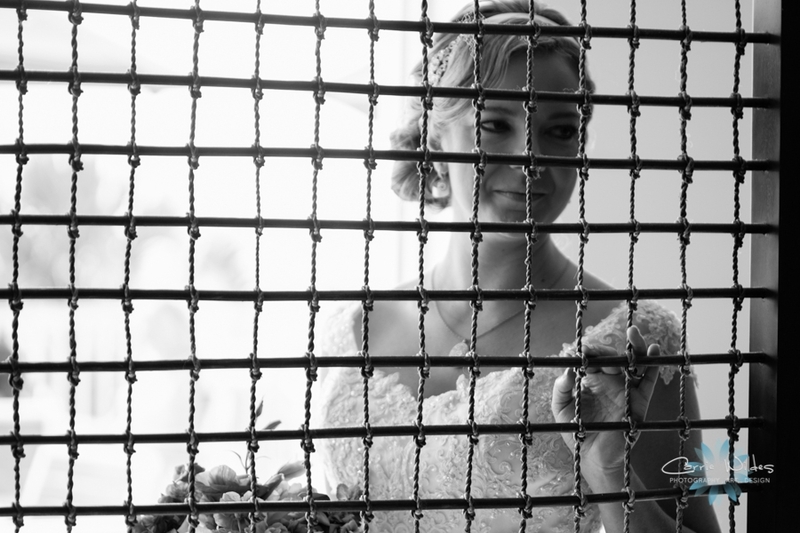 Kamila and Chris's beautiful wedding has been featured on I Love Farm Weddings! 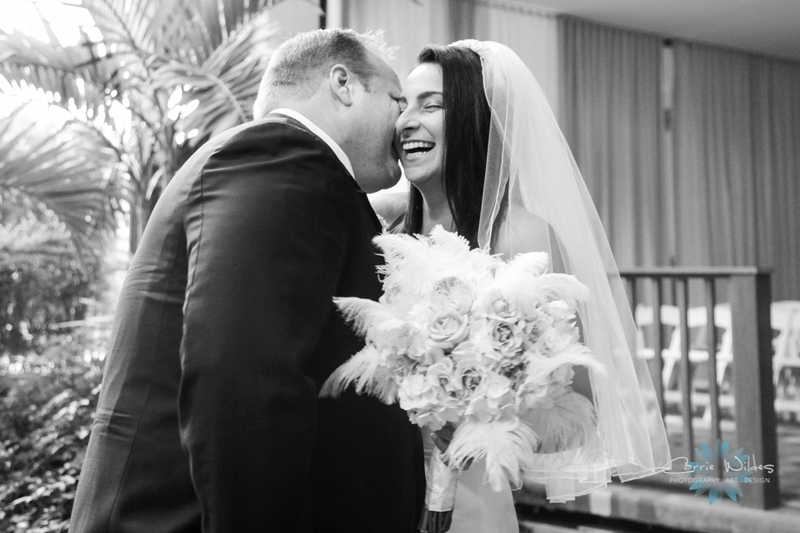 Stop by to see even more from their special day! 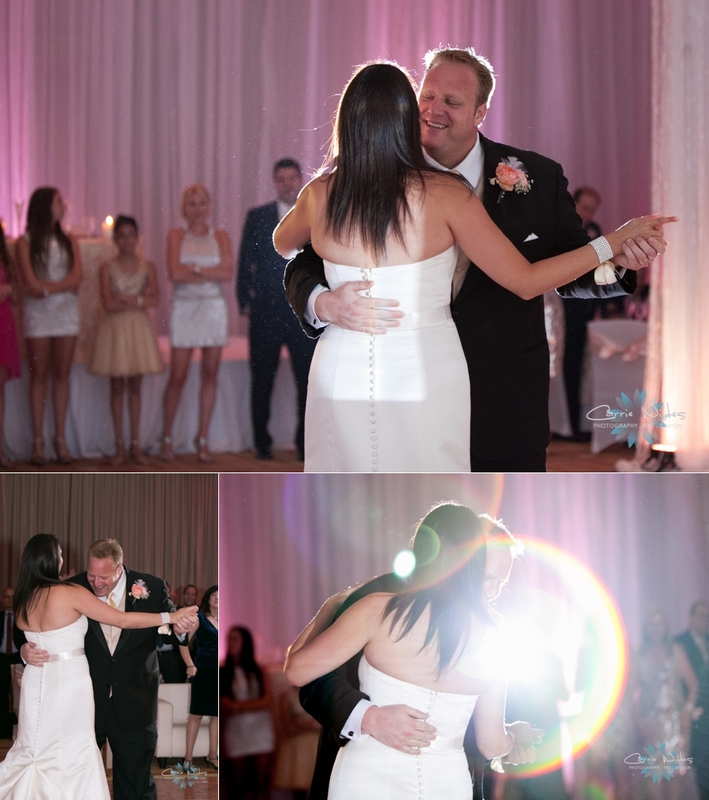 David & Nicole's Glitz and Glam night club style wedding details are featured on Elegant Wedding! Happy Friday! 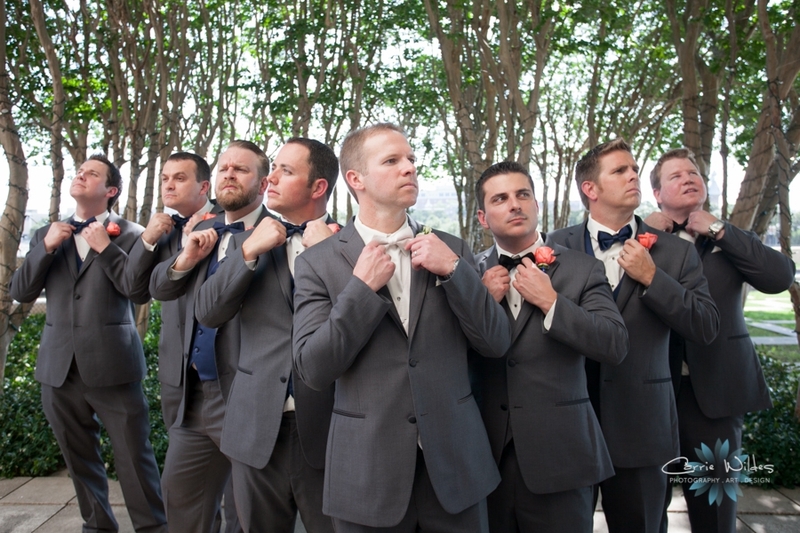 Andrea and Brian's southern, pink and gray wedding gorgeousness is featured on Borrowed and Blue! They had so many amazing details, from the ceremony in the round accented with a curtain of crystals, to the candelabra's, tufted furniture, and beautiful florals it was stunning! 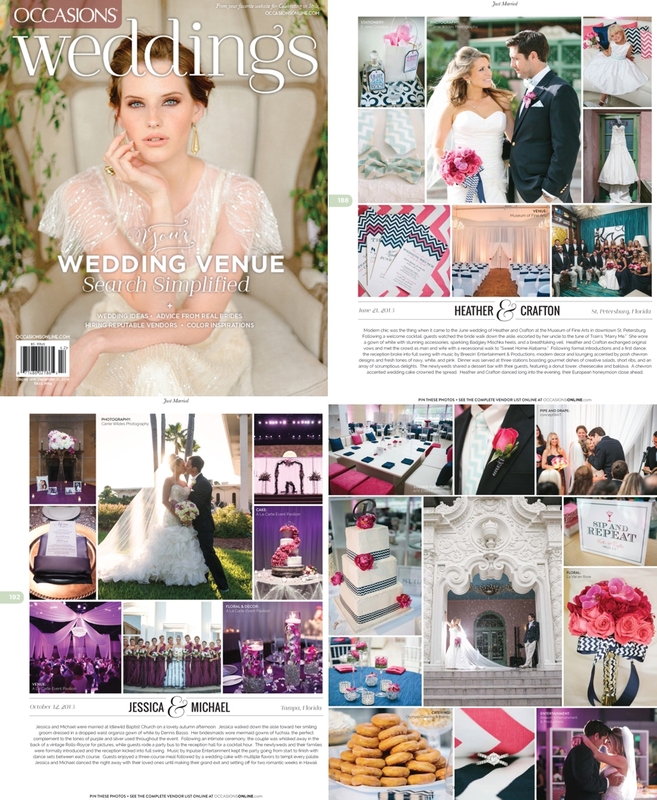 We submit many of our couples wedding creativity to blogs and magazines, but it's extra special when we get featured in print. 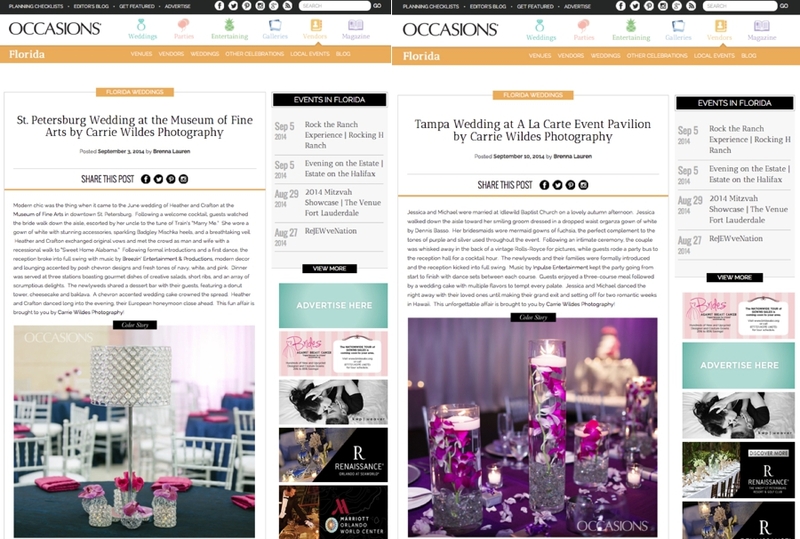 Not only do we love Occasions Magazine, but they featured TWO of our weddings in the newest issue that just came out this month both in print and online! 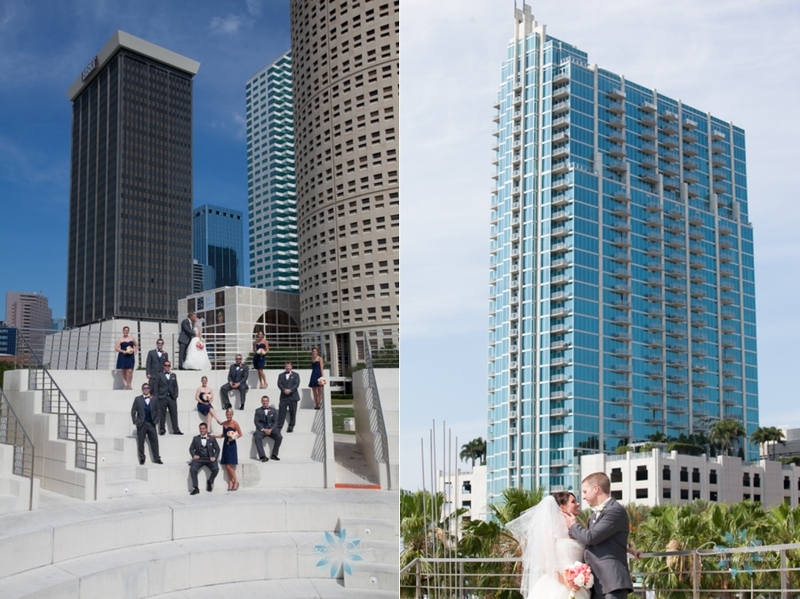 Heather & Crafton had a fuscia and navy, chevron wedding at the St. Pete Museum of Fine Arts. 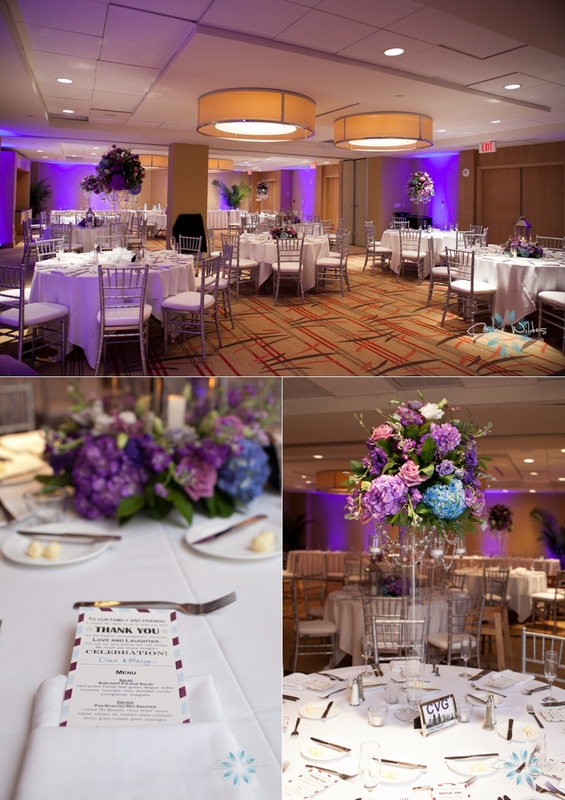 Jessica & Michael had a purple and pink palette for their 300 guest wedding gorgeousness at A La Carte Event Pavilion. We are so honored and excited to have our work double featured!!!! 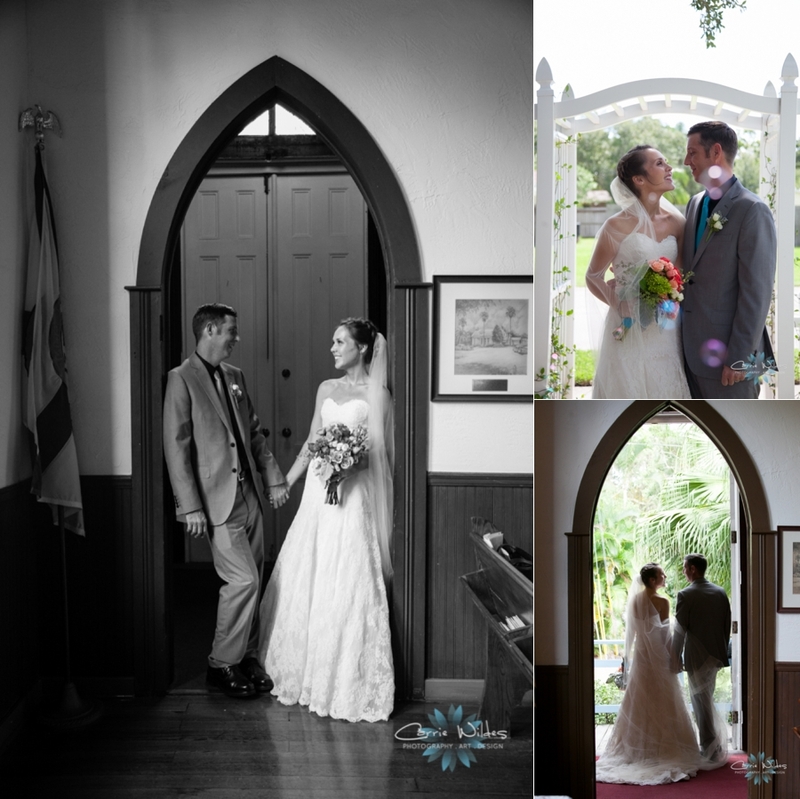 You can find their stories both in print and on their blog: Heather & Crafton and Jessica & Michael. 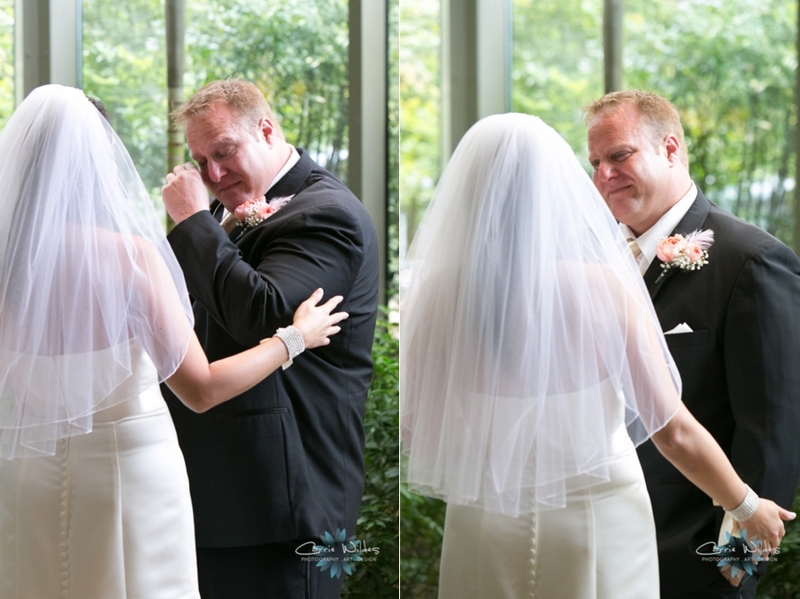 Christina & Adam Featured on Artfully Wed! 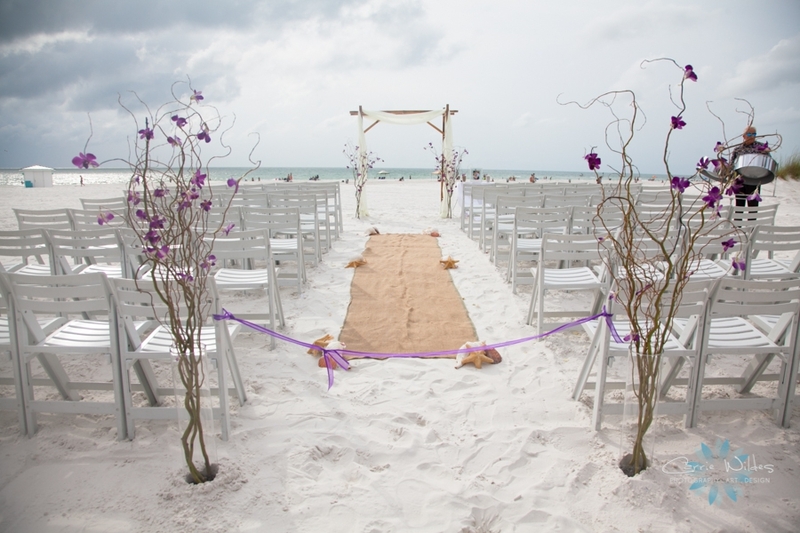 Christina & Adam's beautiful gray and plum wedding is featured on Artfully Wed! 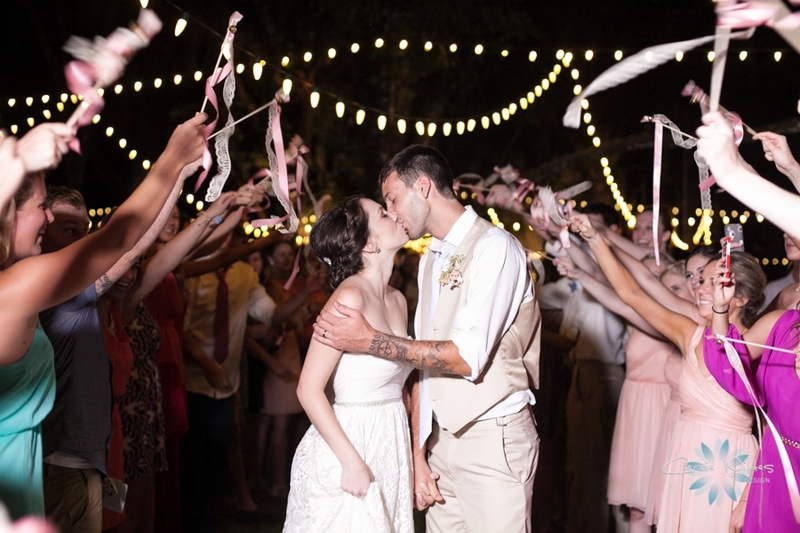 Andrea & Brian's historic, outdoor, pretty pink wedding at Edson Mansion is featured on Eco-Beautiful Weddings! They had so many unique and personal details we're glad Eco-Beautiful wanted to share them!! 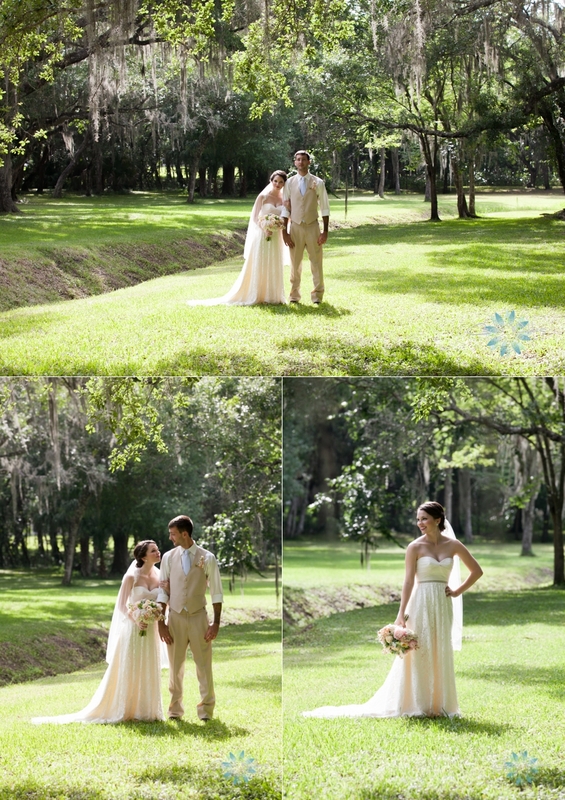 Courtney + Joe's gorgeous outdoor, Oaks at Windsong weddings is on Eco Beautiful Weddings! Every element and detail took full advantage of the beautiful outdoor setting they had and I love the Victorian, vintage style! Robin & Armen's gorgeous outdoor garden inspired, burlap and black tie wedding is featured on A Paper Proposal Blog! 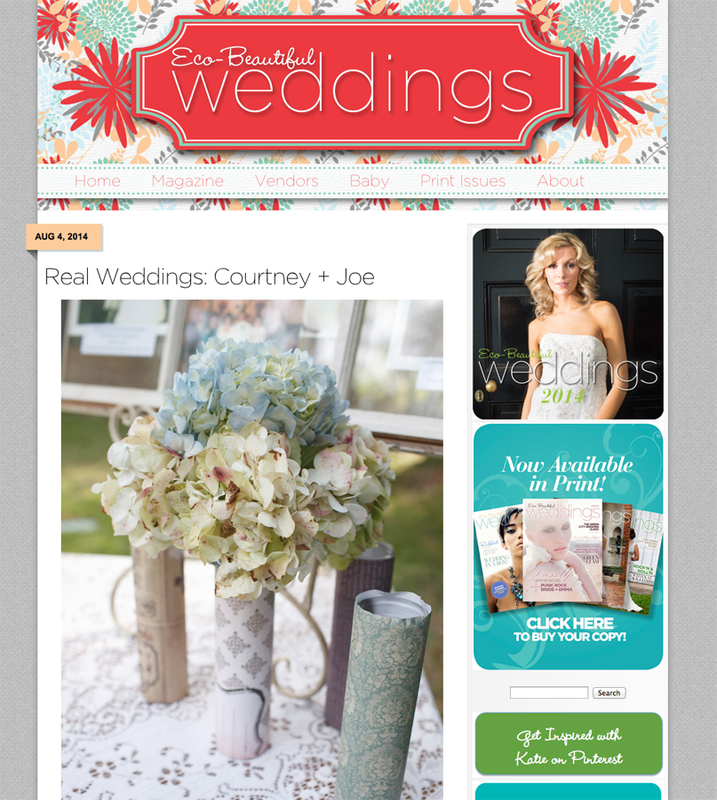 Tennille & Matt's beach chic, pink and ivory wedding details are featured on In Bliss Wedding Blog! 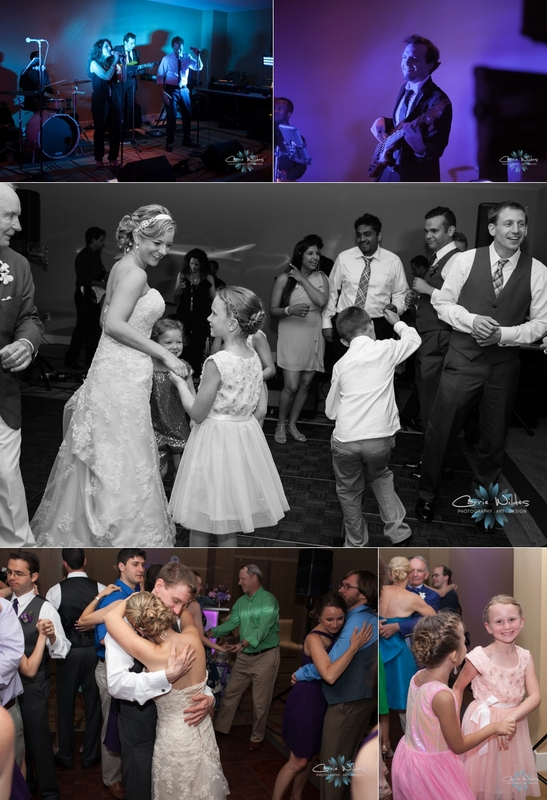 I love how In Bliss organizes their features, they show a gallery, the couples, story, words of wisdom on planning and wedding professionals involved. Take a look! 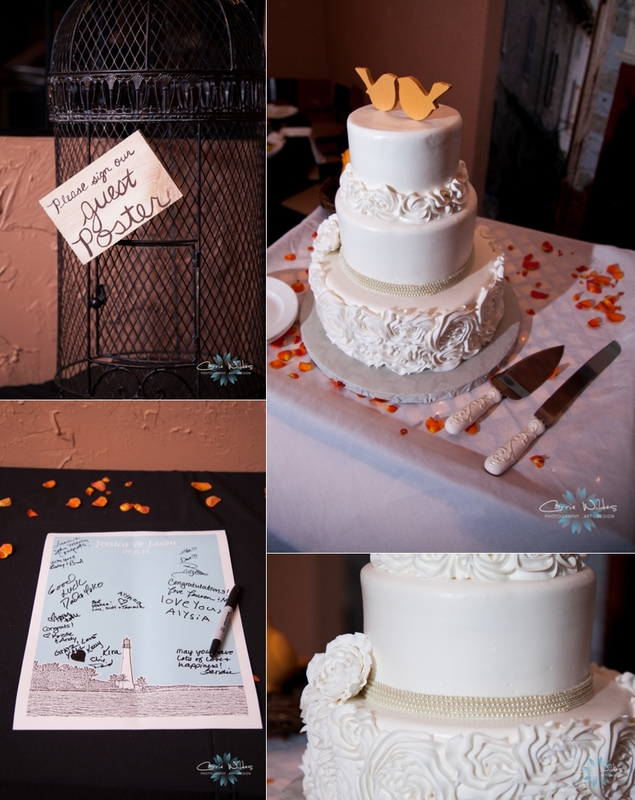 Tina & Eric's awesome and creative wedding details are featured on Rustic Wedding Chic's blog!! 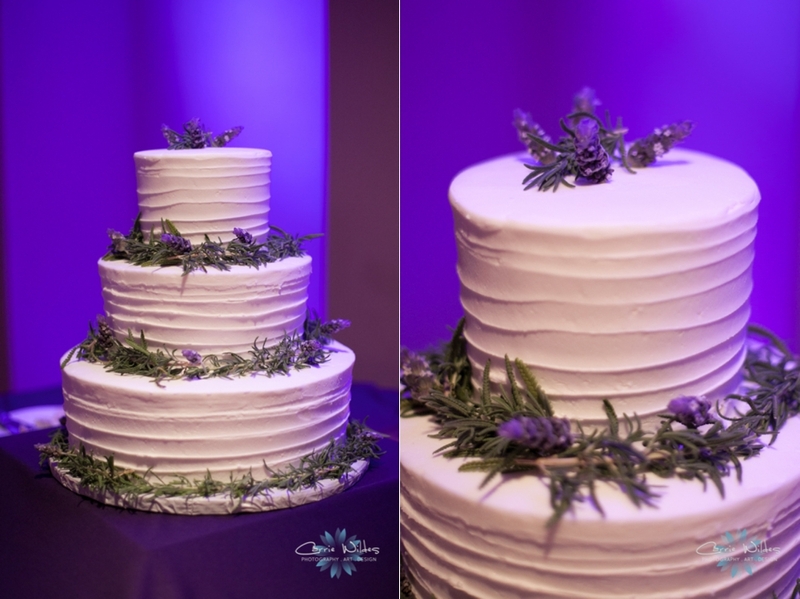 Cross Creek Ranch is the perfect place for a Rustic Chic Wedding and these 2 definitely put some personal details and creativity into their wedding! 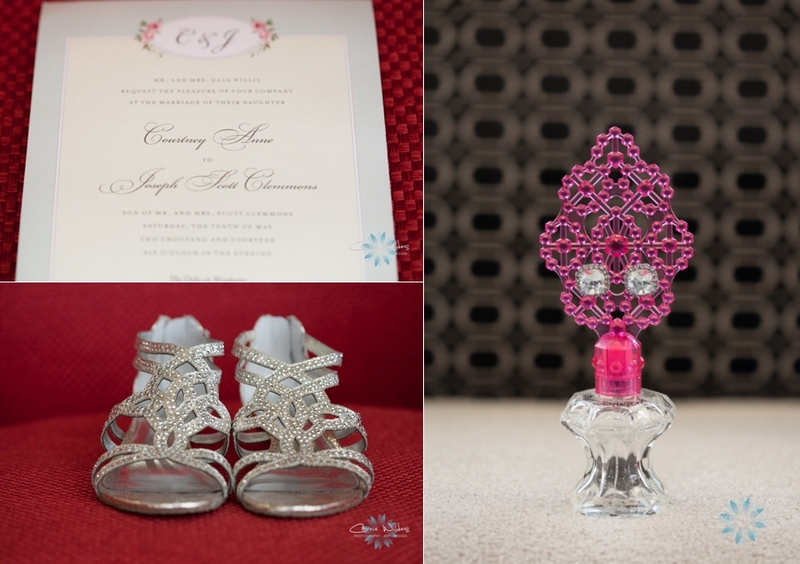 Tina & Jordan's pretty pink wedding details is featured on Hot Pink Brides! 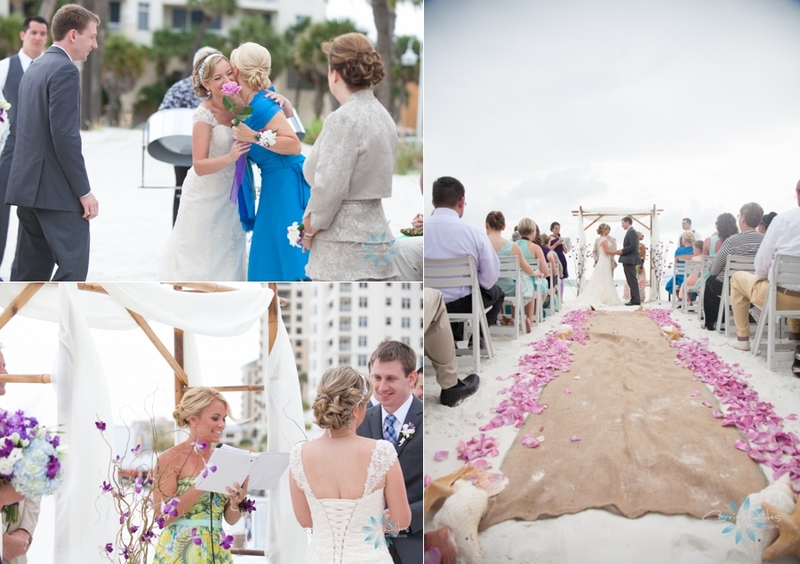 I love Tina's blush pink gown and the style she created for their destination wedding! 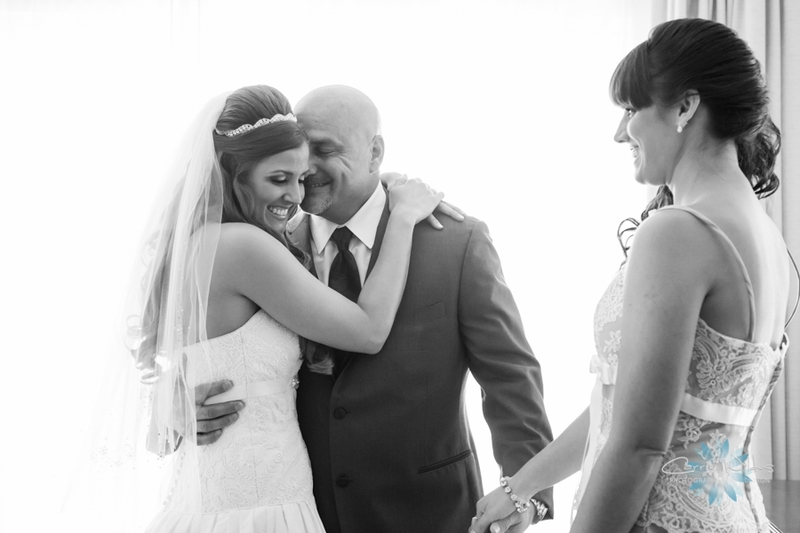 Julie and Neil are from the UK and had an intimate wedding with their family on a boat that left from the Ritz Carlton. 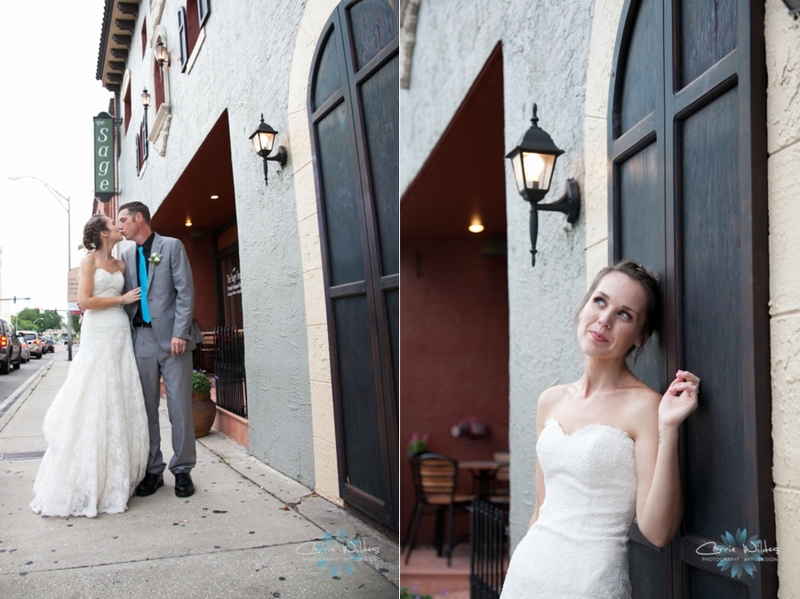 They love to vacation in Sarasota so it was the perfect location to get married! We took a few photos at the Ritz then got on the boat and drove to the famous Ca d'Zan so they could have a beautiful backdrop during the ceremony. 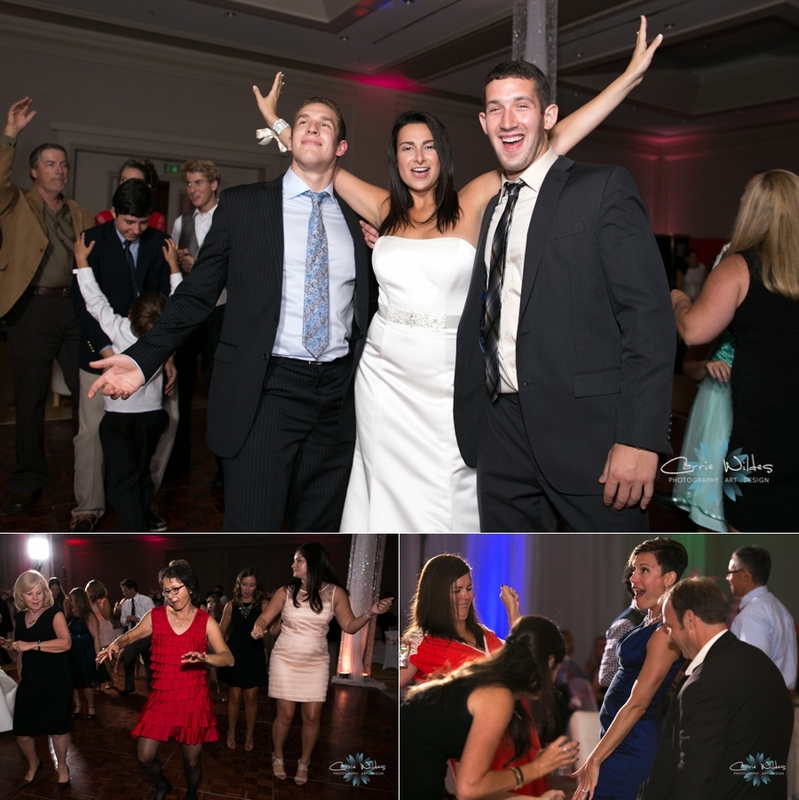 After the "I Do's" everyone celebrated with champagne and enjoyed dinner on the water. Congrats Julie & Neil!!! 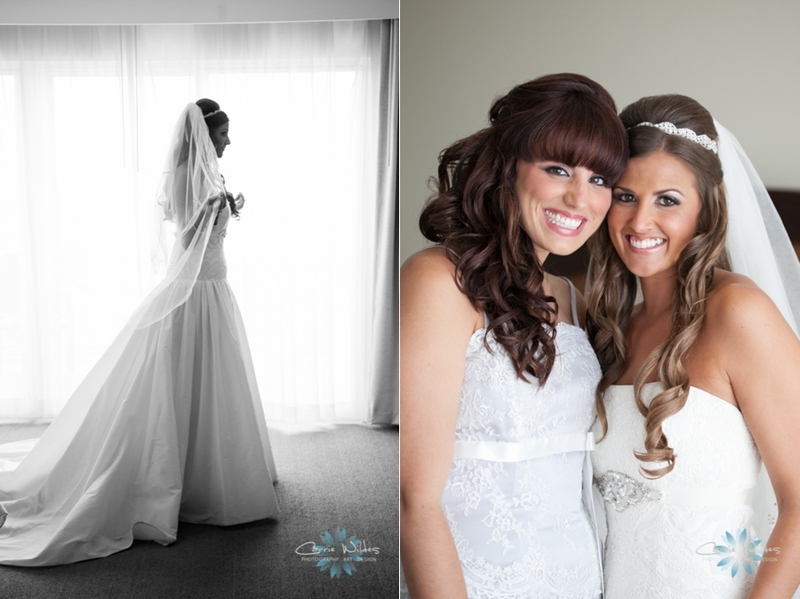 Jamie and her girls got ready at the Sheraton before heading to the church. 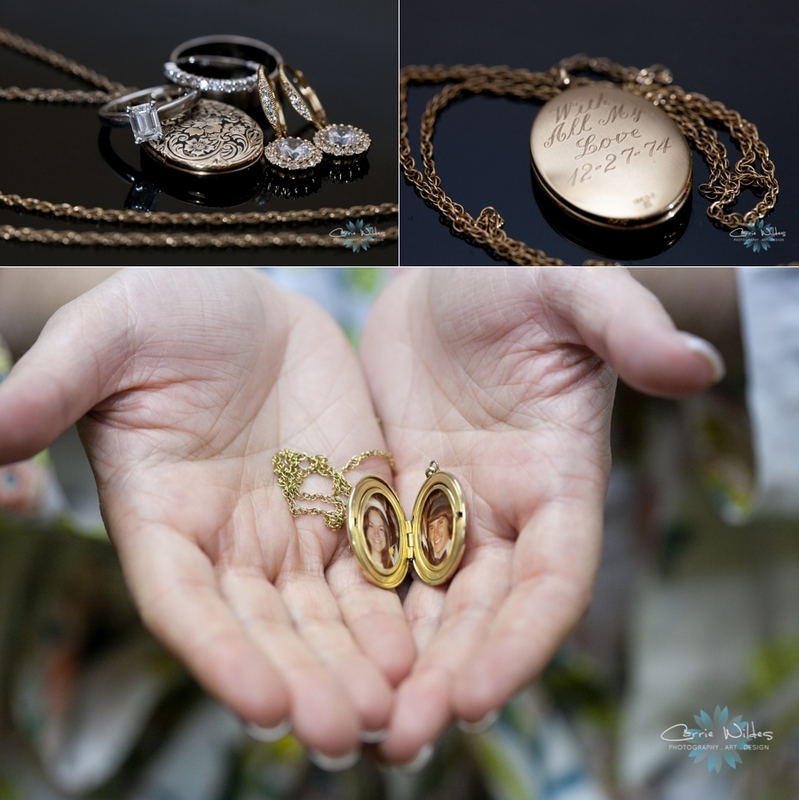 Jamie gave each of her bridesmaids matching necklace and earrings, plus a super cute Kate Spade wallet to use for the day. 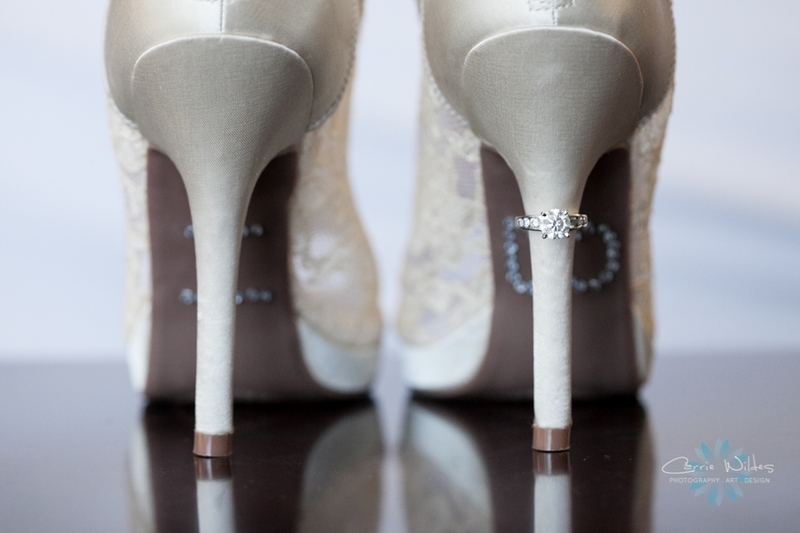 Jamie put "I DO" gems on the bottom of her shoes to give them a little more sparkle! Her 5 month old little girl Jaida was there to help mommy and the girls get ready too. 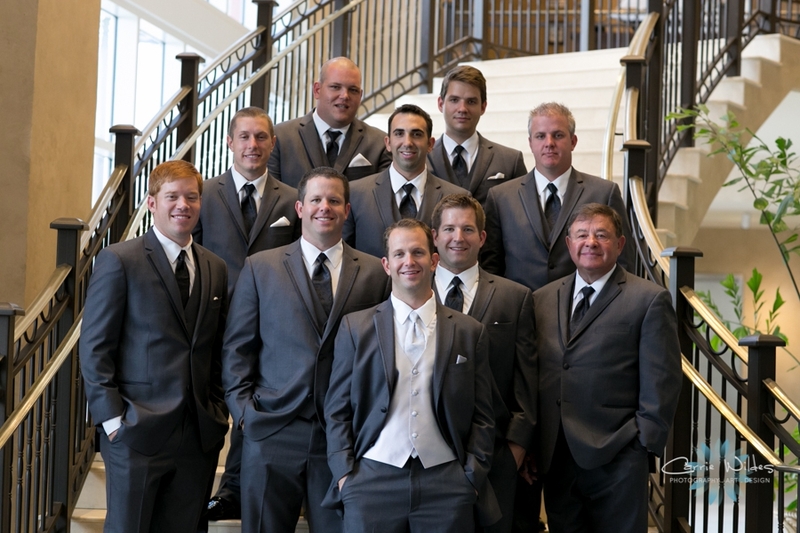 The ceremony took place downtown at Sacred heart Catholic church. I love doing weddings there because the building is so beautiful and the lighting is always amazing inside. 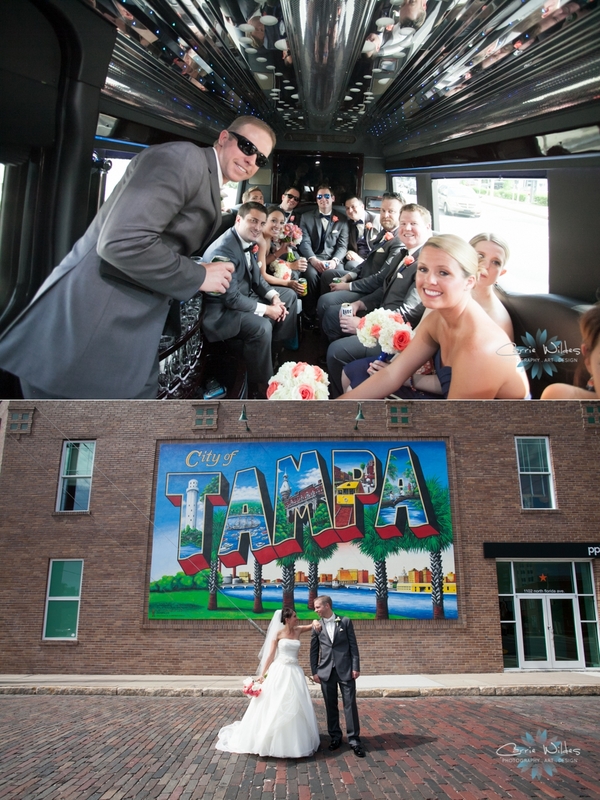 After the ceremony, the wedding party and I took the party bus around town to take advantage of all the cool urban spots.